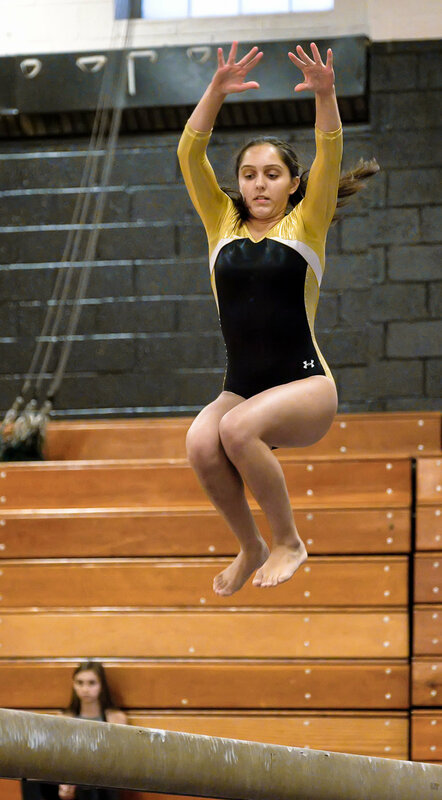 Caught the Commack gymnastics team in a meet against Kings Park on Tuesday. 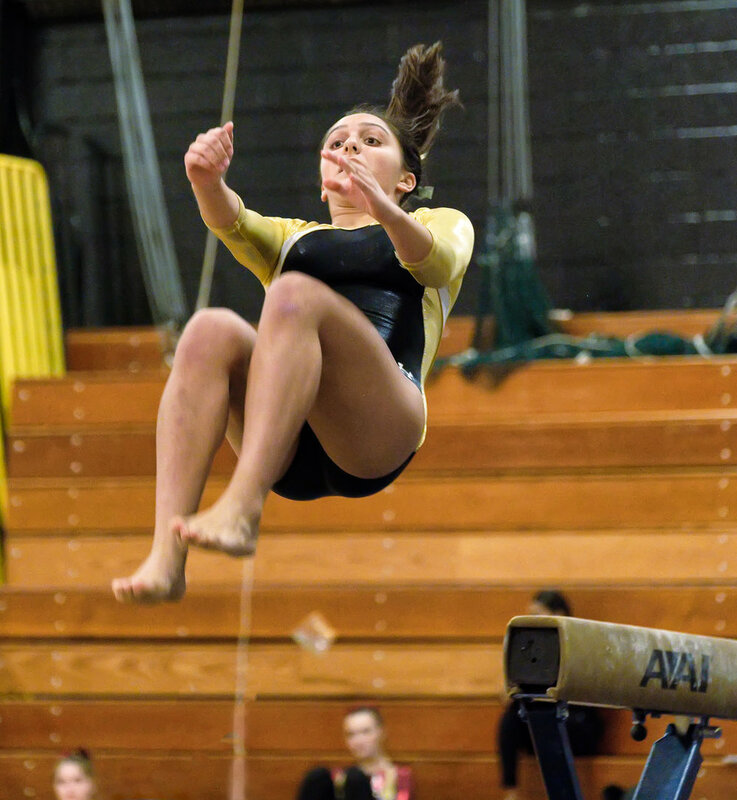 Gymnastics is one of my favorite sports to photograph. Very much like photographing dance only more acrobatic. 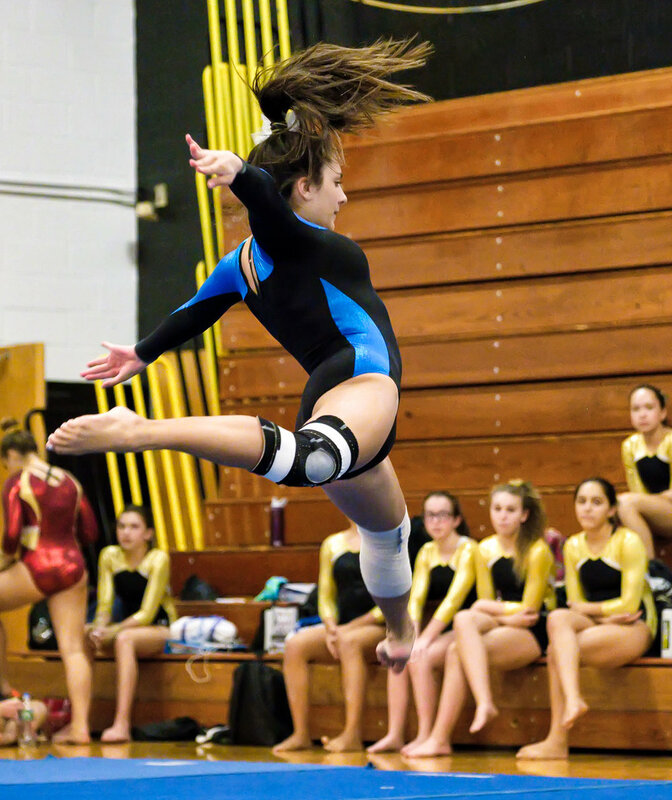 Our high school gymnastics are made of up four events - the vault, uneven bars, balance beam and floor exercise. Here’s how I approach photographing each of them. 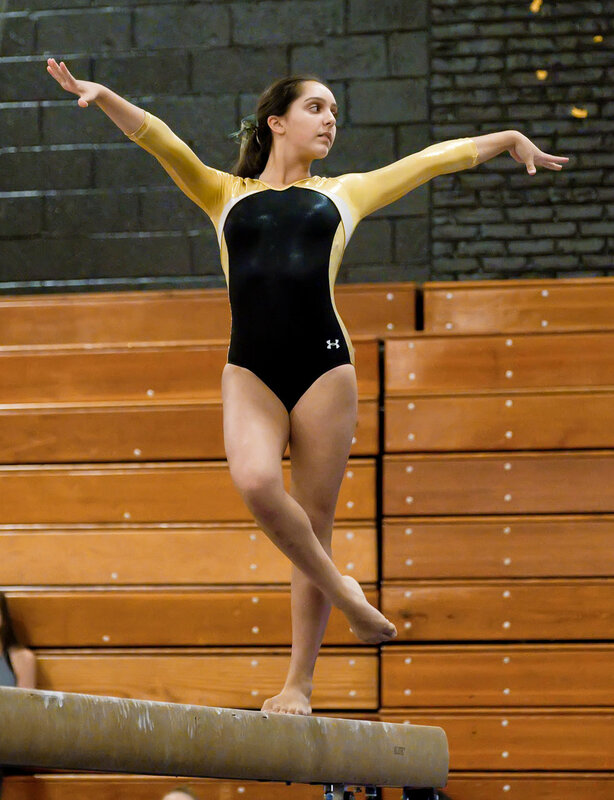 For the vault you could simply put your camera into continuous autofocus mode and pan with the gymnast as she comes down the runway. This works if you have good light and a camera with really good autofocus. I have yet to see good light at any high school, so this isn’t an option for me. Instead, I put my camera into manual focus mode and focus on the pedestal of the vaulting platform. This is where I want to photograph the gymnast going over the platform. I’ll still pan the camera as she comes down the runway to minimize motion blur but I know she’ll be in focus when she jumps over the platform pedestal. 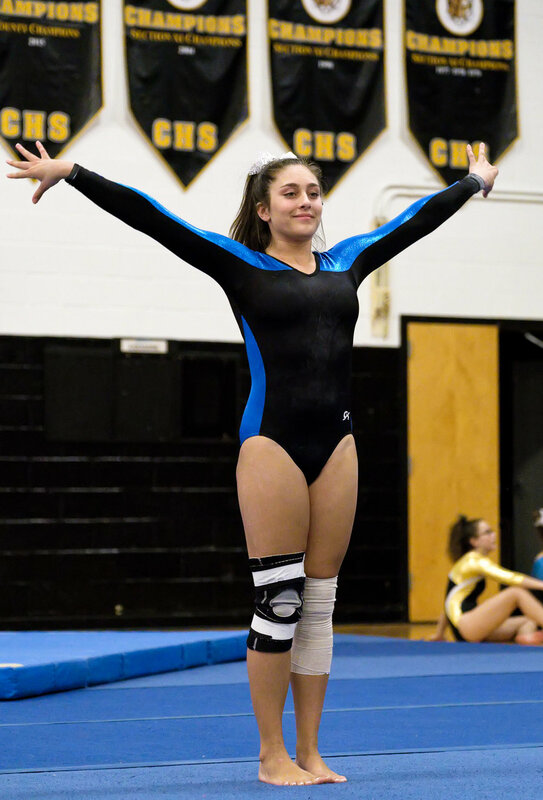 For the uneven bars I try to keep focus on the gymnasts face. Not easy but try your best. If you’re having trouble, wait until she lifts herself up on a bar; at this point she should be almost motionless. Another cool photo is when she moves from the low bar to the high bar; if you time it right you can get the chalk cloud when she grabs the bar. 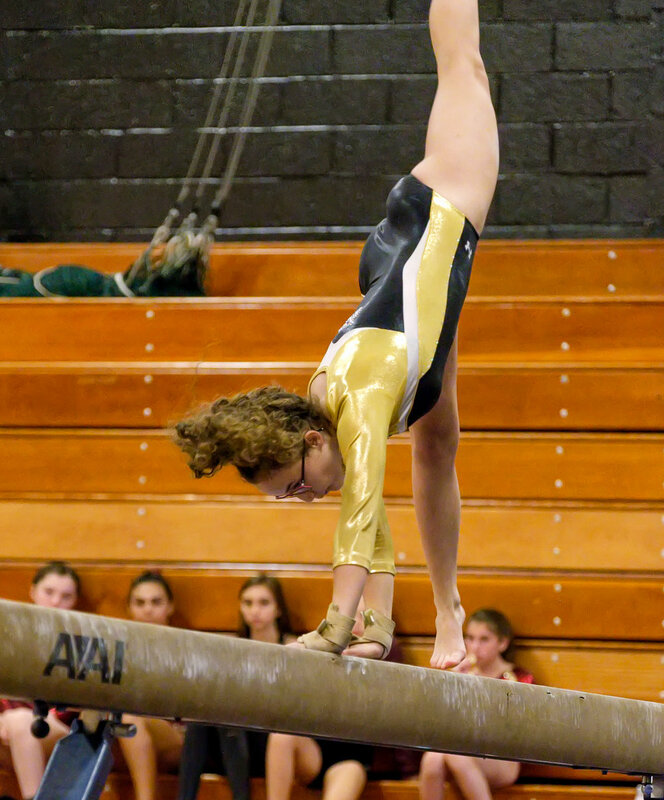 The balance beam is the easiest exercise to photograph. Except for the somersaults and dismount the movement is a bit slower and easier to track. 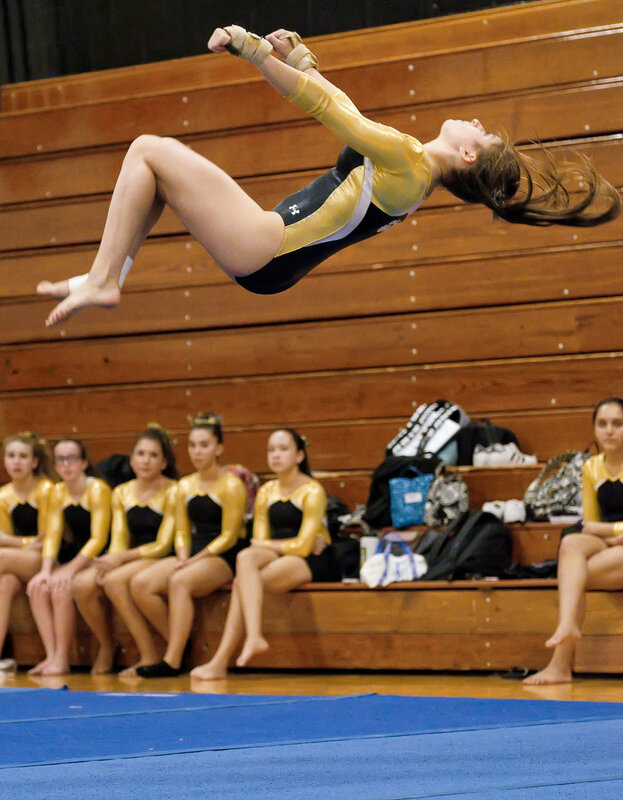 Again, focus on the gymnast’s face. 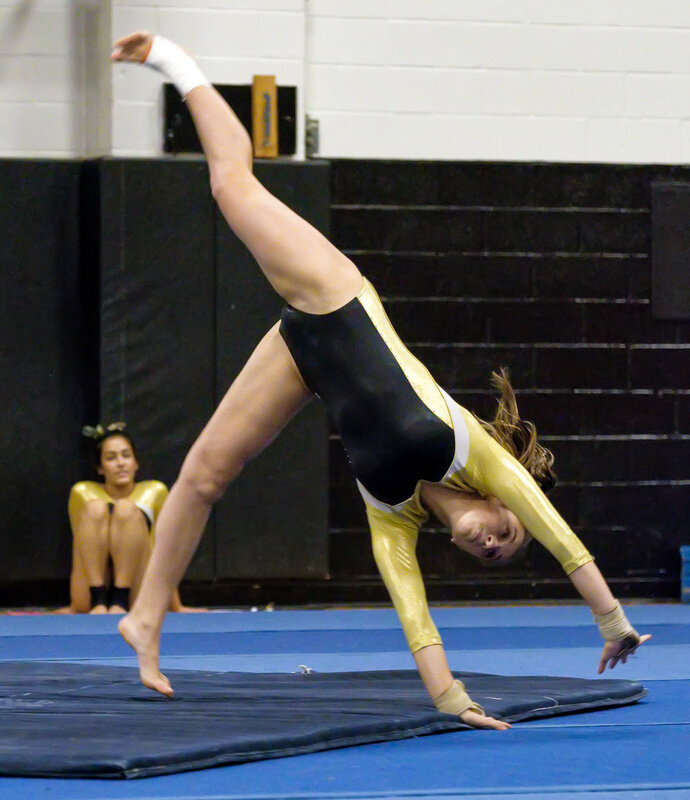 Somersaults are cool but if you’re having trouble catching them concentrate on the slower movements. 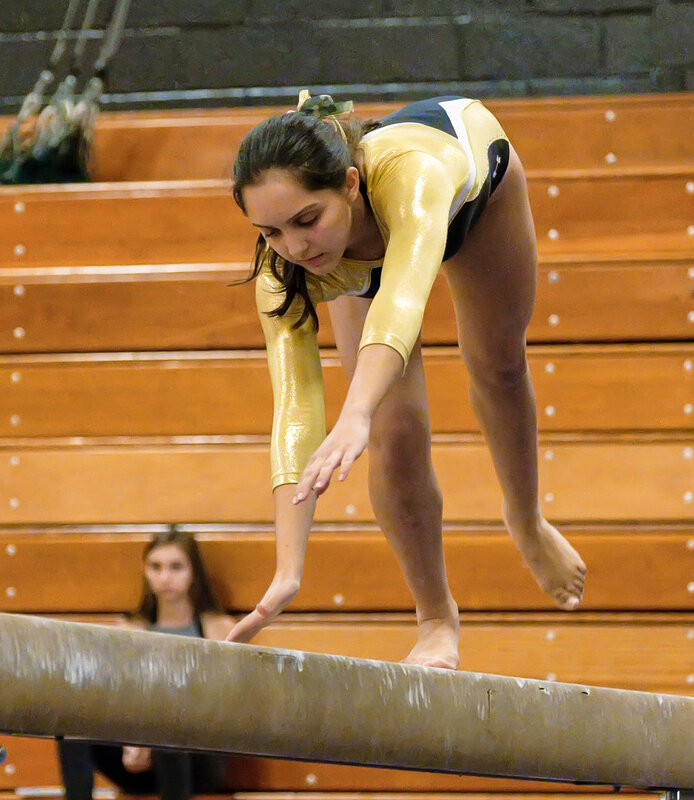 The floor exercise is probably the most difficult to get. Movement is fast and sporadic unless you’re familiar with the gymnast’s routine. Try to position yourself so that her movements are parallel to where you’re sitting, rather than coming straight toward you. That way your focus will change more gradually. Try to catch her with her team in the background. Since the biggest challenge when shooting gymnastics is getting proper focus, try to select plain, dark backgrounds, if possible. I always like to get a crowd of spectators in the background but, since your autofocus works on detecting contrast, I’ll choose the dark mats we have on our walls as a background. This always helps the autofocus perform better.